Super Easy Combo Burritos aren’t fancy. They aren’t really pretty to look at and they certainly aren’t dinner party fare. But you know you want one. Because you can’t eat caviar and lobster every night. NOTES: Makes enough filling for 5-6 burritos using 10 inch tortillas. Reserve a tablespoon or two of diced raw onion to add at the end. For further instruction and entertainment, watch the Super Easy Combo Burritos Video on YouTube! 1. In a skillet over medium heat, brown ground beef and remove excess fat. 2. Add onion and jalapeno and cook until softened. 3. Season with cumin, chili powder, salt and pepper. 4. Add prepared salsa then refried beans. 5. Incorporate beans into beef and stir in water. 6. Bring to a bubbling then lower the heat and allow to simmer 10 minutes. 7. Check for seasoning and stir in reserved diced onion right before rolling. 8. 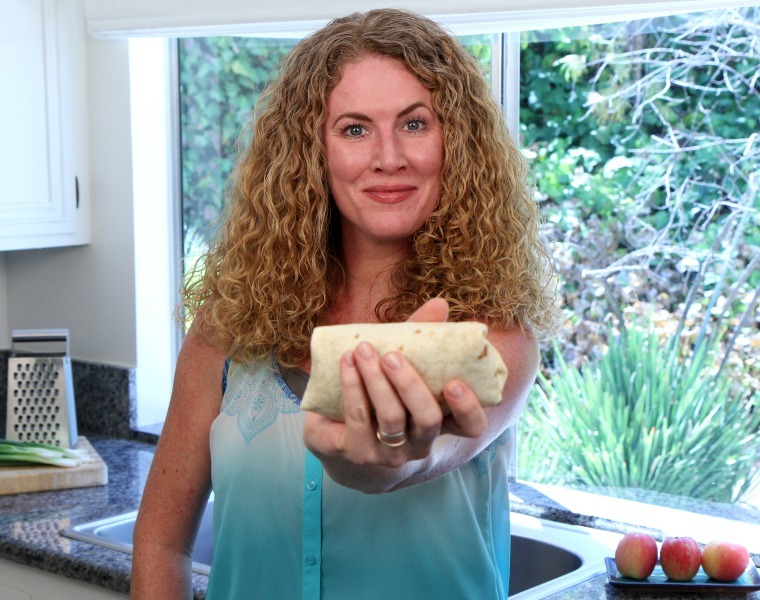 Watch the video to see my pro burrito rolling skillz! 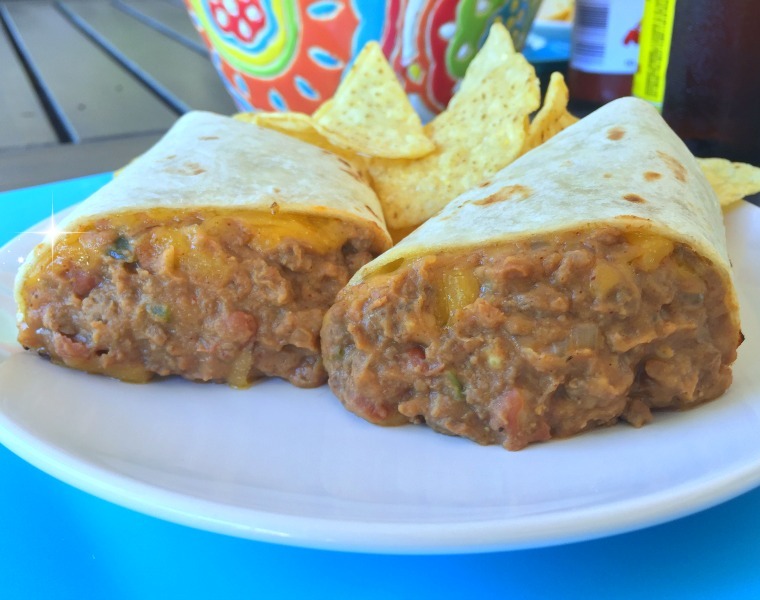 Learn how to make Super Easy Combo Burritos. Watch the video on YouTube (and subscribe)! There’s plenty of leftovers. I rolled up a few extra. I think they’ll be perfect to freeze and reheat in the microwave. Thanks for the great new recipe. It’s going in my favorites list. I did add a few dashes of cayenne. Chef John has me brainwashed.